I know what I’m needin’, and I don’t want to waste more time, I’m in a New York state of mind. It seems so long ago however it is only just over a week ago that I left Brisbane on this adventure. Before I left, I was told that this Fellowship will be a life changing experience. In the past week this prophecy has come to fruition. 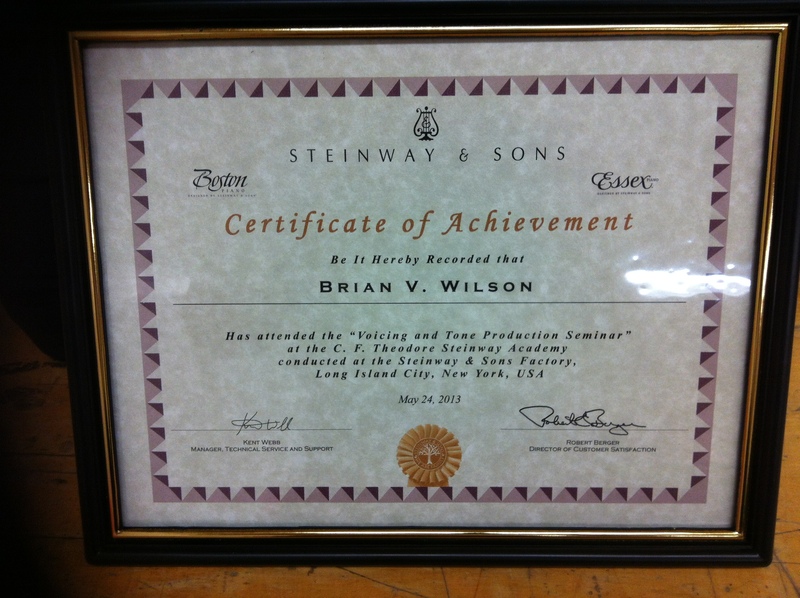 The business end of my Fellowship started on Monday morning when I walked in through the front doors of Steinway and Sons in Astoria, Queens to attend a “Voicing and Tone Production Seminar” at the C.F Theodore Steinway Academy. My instructor was Kent Webb, Manager of Technical Service and Support. Also attending the class were two other technicians, one from Phoenix, Arizona and the other from Philadelphia, Pennsylvania. Although I was immediately impressed by Kent, he challenged my thoughts from the start. Why are we piano technicians? What do we do as piano technicians? What is our objective? How do we achieve our objectives? I could write alot of information about this course, however four points have the most impact for both my working and personal life. 1. 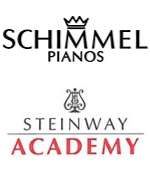 Consistency – as a piano technician, consistency is the key. Performing work that can only be appraised by the senses of touch and sound is difficult to gauge. The technician has to perform these tasks at a high level and be scrutinised by the subjectivity of the artist. Performing at the same high level without feedback by your peers is difficult. 2. Dynamics – the piano must be capable of giving the musician the opportunity to express the total range from a pure pianissimo to the largest fortissimo. The dynamic range of the instrument must be able to transmit the emotions of the musician. 3. Control – The musician must also be in control of the instrument or all musical ideas will not be communicated to the audience. The touch of the mechanism and the sound coming from the instrument must also match the thoughts of the musician. 4. Transparency – The musician plays music, not the piano. The piano must inspire the musician to play the instrument and to project the thoughts of the composer. The musician becomes accountable for his communication with the music and the technician is accountable for suppling the vehicle for the music. In the last two to three years I have found my work to be frustrating and at times I have questioned my abilities and place in the industry. I have listened to the advice of self appointed experts who have an interest in themselves and not for the good of the music or industry. This week has taken me back to basics and re-kindled my love of pianos and the music they produce. Kent has proved to me that I had the ability to perform my work at a high level however some how I let self doubt and the opinion of others erode this ability. The piano will always perform to the standard the technician will prepare it to, and the piano will always be true to itself by telling the technician how it would like to sound. It is up to me the technician to listen to the piano but mostly to the music. The New York Steinway is a slightly different instrument than the one we generally see from Hamburg. They are like twins, but not identical as their personalities differ. The process of obtaining sound from the hammers is completely different. Hamburg prefers hard hammers and soften them, whilst New York prefers soft hammers and harden them to achieve the desired sound. Most of my training and experience has been with the harder style hammer and I was unsure of how I would adapt to the New York method. The New York method was music to my ears, and I understood the concept so easily. It has also answered many questions that have been building since my training in Hamburg in 2009. It is now up to me to apply the processes and inspiration from this week. Sounds like your soaking it all up. Keep enjoying yourself and learning lots. It’s a pity more of us don,t adapt the policy of becoming life long learners. It is great keeping up with your progress.